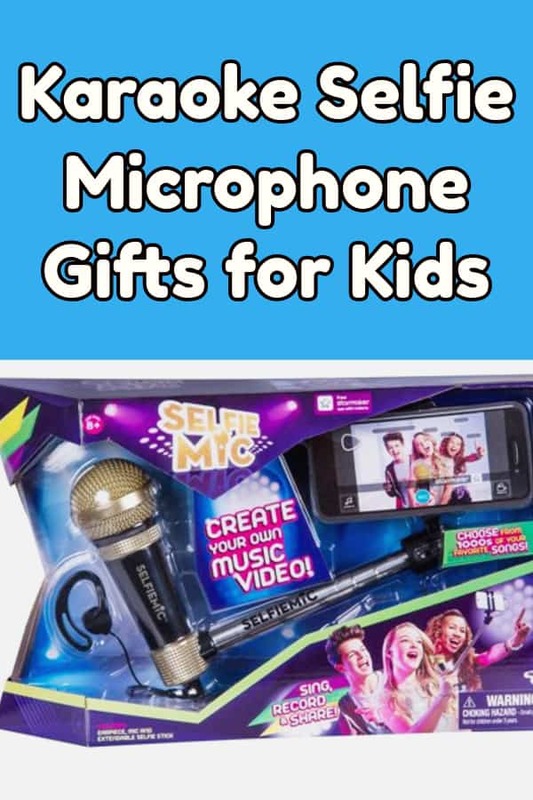 If you are looking for a child-friendly music player you will love these selfie mic karaoke toys that allow for singing along to a soundtrack and taking photos or videos of the singer. Hours of fun is guaranteed for children, but adults can also join so fun for all the family. 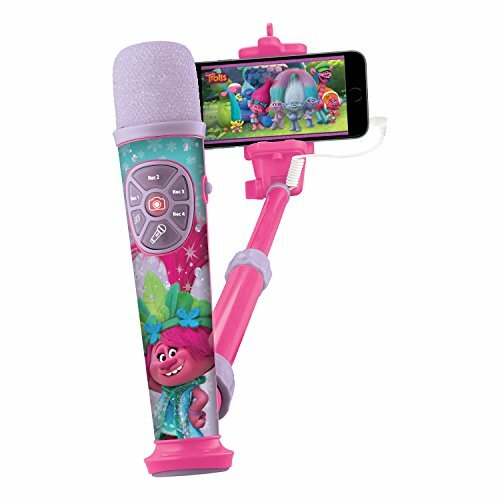 I love the selfie mic that is pink colored that would make a great gift for a Trolls fan. 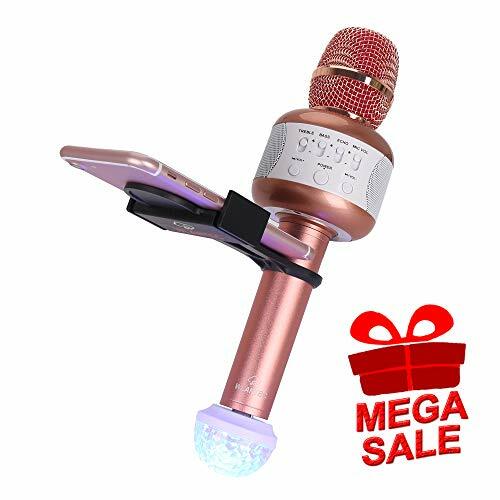 This is a great selfie mic music set that includes a microphone stand holds both the microphone and the selfie stick phone holder. 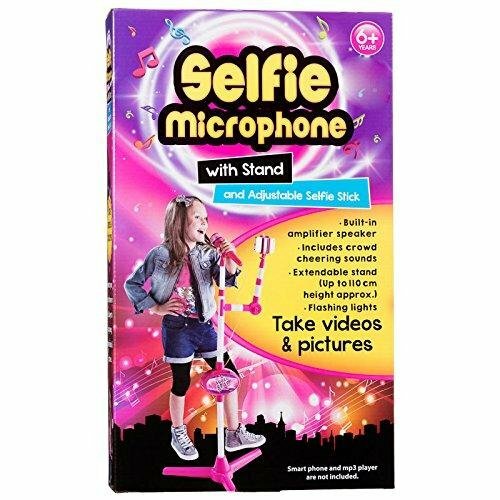 Because this toy is a version of an adult microphone with stand kids will just love. 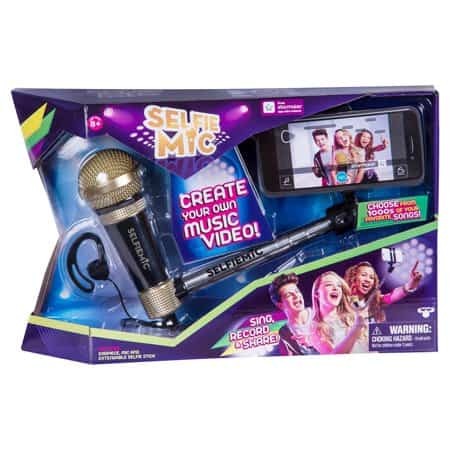 This karaoke selfie stick microphone is a self-contained musical party idea. Connected to the microphone are a phone holder, speaker together with disco lights. 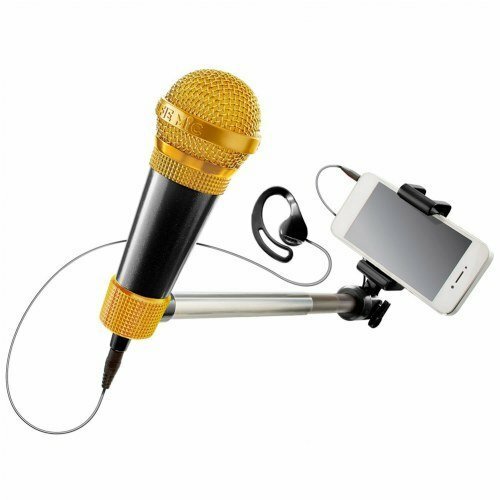 Dubbed as the “selfie stick meets karaoke”, the Selfie Mic has become more and more popular. 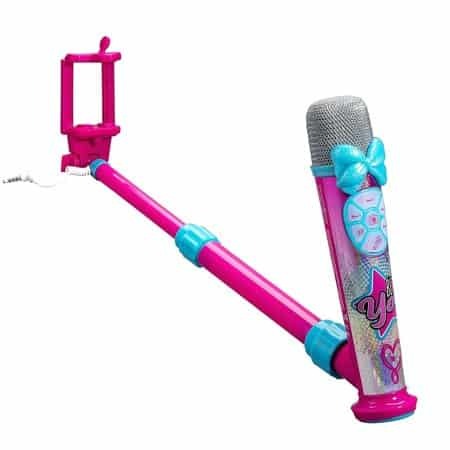 Just as the name suggests the Selfie Mic is a selfie stick with an inbuilt microphone. It allows the user to make their own music videos through its smartphone app known as the Star Maker app. Moreover, it allows the user to sing along with other thousands of songs and post them online. The selfie stick is inclusive of a smartphone holder and a microphone that acts as its handle as well. On the stick end, a wire is attached that helps the user plug it into their device so as to capture different sounds from the microphone, while on the earpiece is attached on the rear of the mic. How to Use and Play with the Selfie Mic? Using the Selfie Mic is pretty easy. Simply log into the StarMaker app and select the song of your choice. 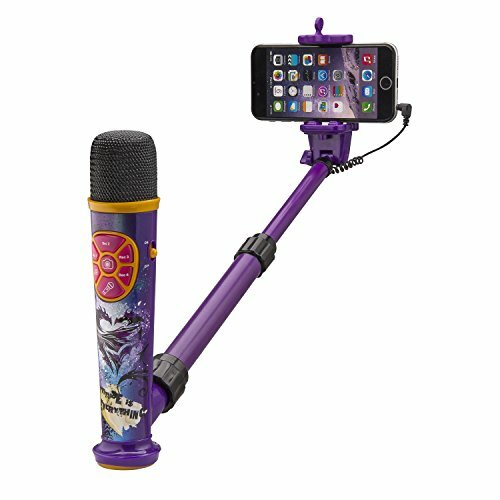 Place the device in the selfie stick bracket, plug in the wires and there you are ready to sing along to your favorite songs. All other functions, from here are in the StarMaker app which is equally easy to use. Who Would Buy a Selfie Mic? This is the this is one of those child or toddler music player ideas that will make a gift for a kid that loves music and singing. I could see this product being bought by parents, grandparents, relatives and friends of children. This is an ideal gift for either a birthday or for Christmas. 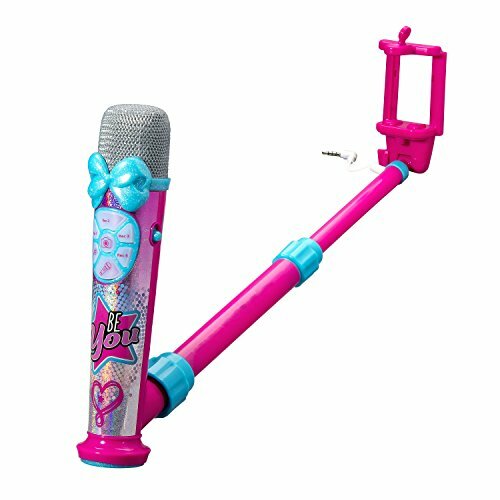 The Selfie Mic is suitable for kids above five years, but with supervision could be used by a toddler. It has no restrictions and can be used by people of all ages. It must be used together with the StarMaker app. 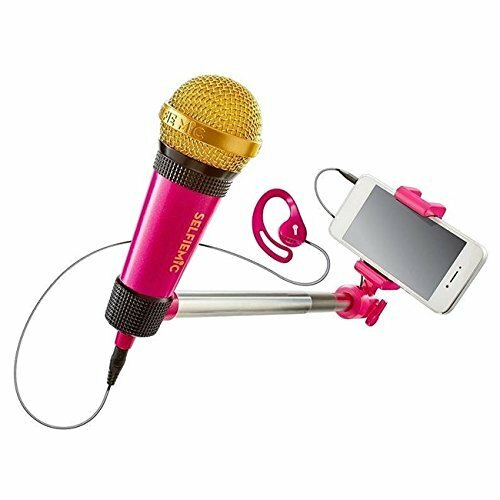 Is a Karaoke Selfie Mic Value for Money? For all music and selfie lovers, then this device is worth the money. It not only allows you to take cute selfies but also allows you to express yourself musically giving you the music star effect. 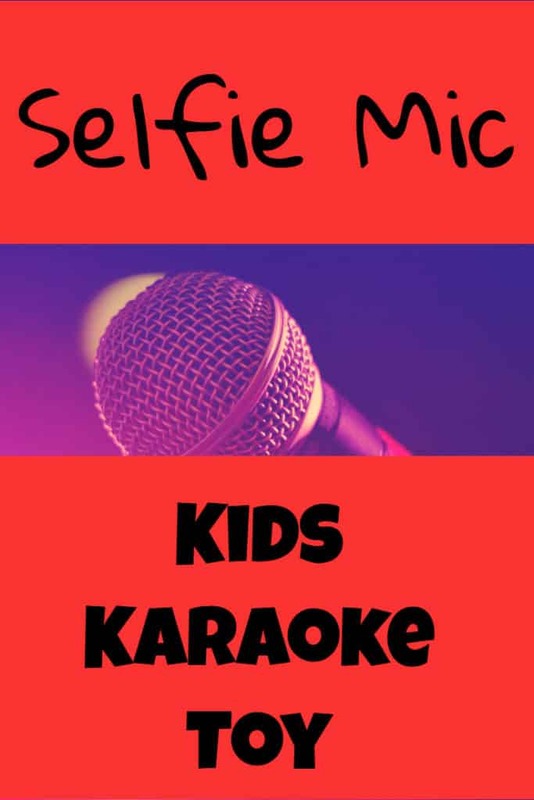 Overall, the Selfie Mic and the StarMakerapp combination is an excellent way for kids to express themselves musically in a fun and professional way. 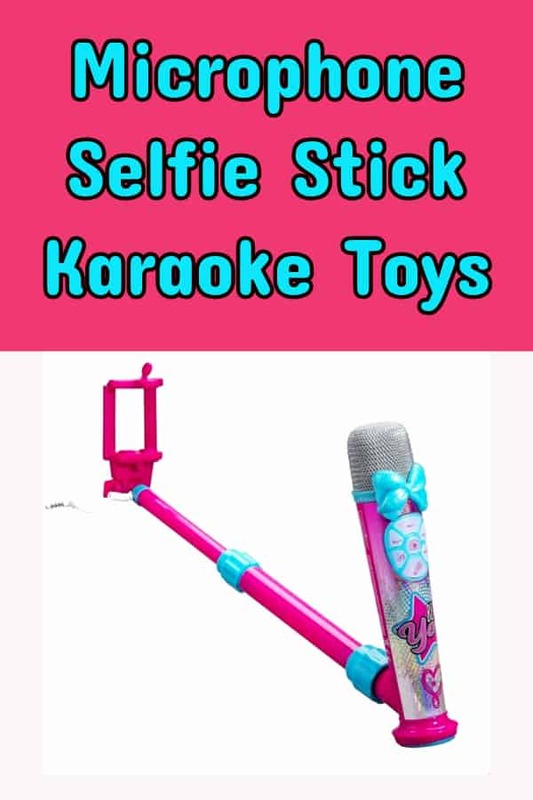 For all the young karaoke stars who love taking selfies, this is just the product to go for. 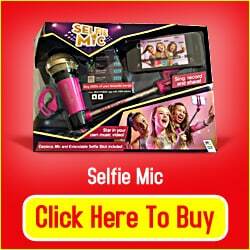 Here is a great video that walks you through how to use your SelfieMic, it is much easier to set up and use than you would imagine. 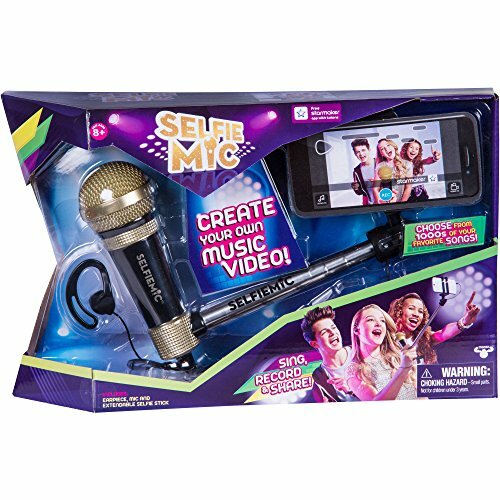 This video walks you through the excitement of unboxing a karaoke microphone, together with the first singing video. The step by step instructions for setting this selfie mic up is clear and simple.